Looking for produce at a price that can't be beat? The Good Food Box is a produce box lovingly packed by volunteers and sold at prices 20-40% less than local grocery store prices. Keep up to date by subscribing to our Good Food Box pick-up reminders and news updates. 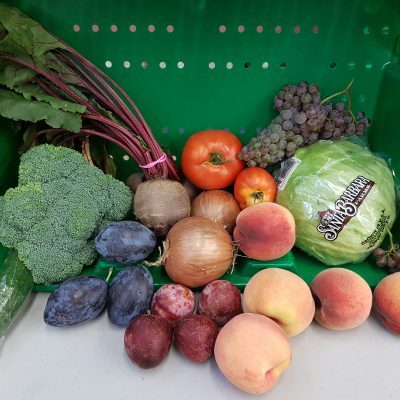 Good Food Box for the Central Okanagan! The Central Okanagan Food Policy Council has rolled up their sleeves to develop a Good Food Box in the Central Okanagan. Good Food Boxes already exist in many communities across Canada – so we thought we thought it was time we had one here! 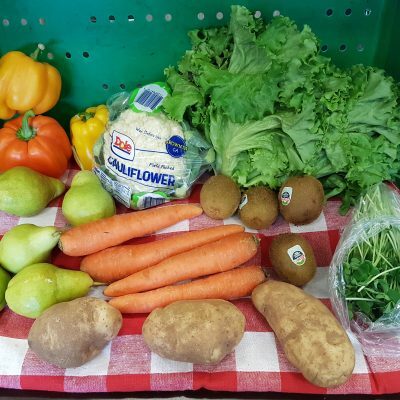 The Good Food Box provides community members a different way to purchase produce at a more affordable price. This is possible because our boxes are lovingly packed by our volunteers in a space generously donated for us to use to pack our boxes. It’s also thanks to our local producers who let us buy in bulk, so we can pass these savings on to you! Our primary goal is always to make it easier for the people of Kelowna to access healthy fruits and vegetables. We focus on fresh seasonal fruits and vegetables, and prioritize sourcing locally grown items whenever possible. We purchase only the highest quality produce and strive for variety in our boxes. This project is financially supported by the Central Okanagan Foundation and the City of Kelowna. St. Andrew’s Anglican Church and New Gate Apartments have generously offered their spaces for us to use to distribute The Good Food Boxes. Are you interested in getting healthy produce at an affordable price? Then keep scrolling to find out how! Pre-order your box ONLINE by midnight of the Monday before the Friday Pick-up Day. Simply choose which box day you would like to purchase, then pay for it using our convenient and secure online payment system with your credit card, debit card or Paypal account. You’ll receive a receipt via email from COFPCS@gmail.com. Pre-order your box IN PERSON at one of our box pick-up locations on days that we are having a Pick-up Day. You may pay with cash, debit, or credit card. Sometimes when you order something in advance, it’s easy to forget to pick up your order. 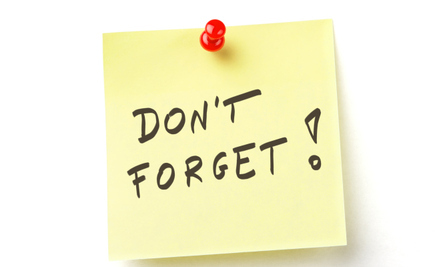 So make sure you put a reminder on your calendar, in your smart phone, or write it on your arm – whatever system works for you! Or better still, sign up for Good Food Box news updates, where you will receive information about what is in the box, helpful tips, and recipe ideas. Enter your e-mail into the green sign-up box below! PLEASE NOTE: if you do not remember to pick up your box we cannot save it for you. Any unclaimed boxes of food will be donated to charity. Visit us at St. Andrew’s Anglican Church located at 4619 Lakeshore Road or at New Gate Apartments at 189 Rutland Rd N to pick up your produce. Please bring a bag, box, or container to transfer your produce into for you to take home. Our box pick up times are every 2nd and 4th Friday of the month, from 2:00-6:00 pm. 4. Enjoy your healthy purchase! There are so many ways to eat and enjoy the food you have bought. We will do our best to share creative and delicious ways to use some of the items in your box. We’ve done the planning for you! Our boxes were created by Registered Dietitians, who always have healthy eating in mind! We focus on fresh, in season fruits and vegetables. We support local producers whenever possible. 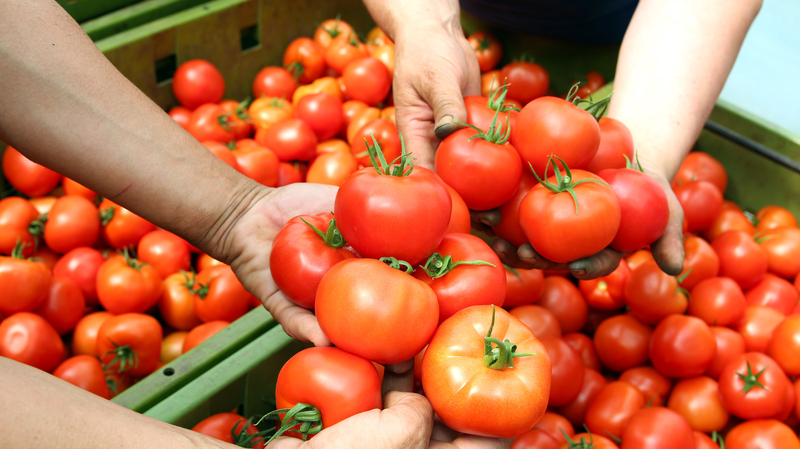 We purchase our fruits and vegetables in bulk and pass off the savings to you. Now you can stretch your food dollar further! Who can purchase a Good Food Box? 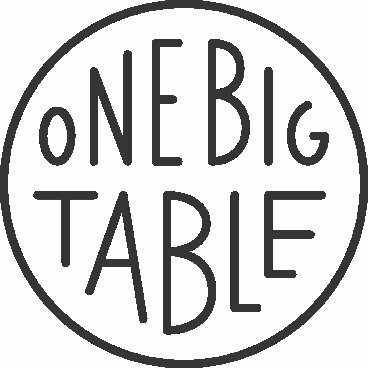 If you like fruits and vegetables, are trying to eat more of them, are looking for a great deal, and want to support a local non-profit in their mission to increase commuity food security, then this box is for you! The easiest way is to order online with your credit card. Once you purchase your box, you’ll be emailed a receipt. If you don’t have a credit card, you may pay for your box with a debit, credit or cash before the end of each order deadline. Simply visit us at our pick-up location, pay for your box, and you’ll be able to pick it up at the next box pick-up time. Orders are due by midnight the Monday before Pick-Up days (every 2nd and 4th Friday of the month). How often,when, and where do I pick up my box? The Good Food Box is currently available every 2nd and 4th Friday of the month. Pick-up times are from 2:00-6:00pm. Every time you order a box, you will get information about box pickup date and time. What if I can't make the pick-up time? You can send a family member or friend to pick your box up for you. The box must be picked up within the pick-up time. If it is not, any unclaimed boxes will be donated to charity and used to feed our community. Can I change any items in my box? We cannot accommodate special requests at this time. We do our best to keep our prices low. We are able to do this because we select the produce that goes into each box with a focus on purchasing whatever is in season and as local as possible. No, we do not deliver at this point, but we are exploring offering delivery service in the future for an additional price. 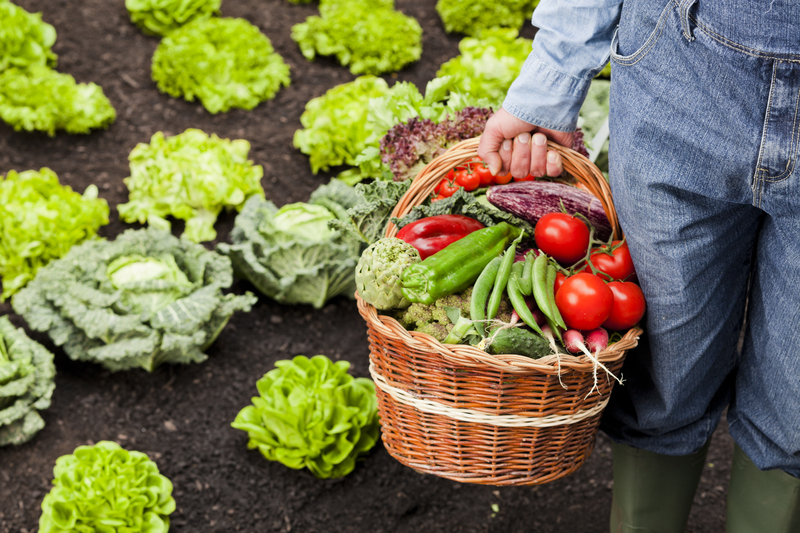 Is your produce locally sourced? We source local whenever possible. It depends on the time of year and pricing. We do our best to source produce that is seasonal, local, and un-sprayed at the best price possible. When we can’t buy local produce, we order through local wholesale companies instead. Some produce items are impossible to source locally, such as bananas and oranges. We offer these items because they are affordable and provide variety to you! Sometimes. It depends on the time of year and pricing. We do our best to source produce that is seasonal, local, and unsprayed at the best price possible. If the price is right, we buy unsprayed and sometimes certified organic produce. How do you decide what and how much goes in each box? We are so lucky to have a few Registered Dietitians volunteering with the Central Okanagan Food Policy Council. They have done their best to help design boxes that have nutrient variety and have enough portions to meet the recommendations in Healthy Eating with Canada’s Food Guide. A huge THANK YOU to those that are supporting this pilot project!